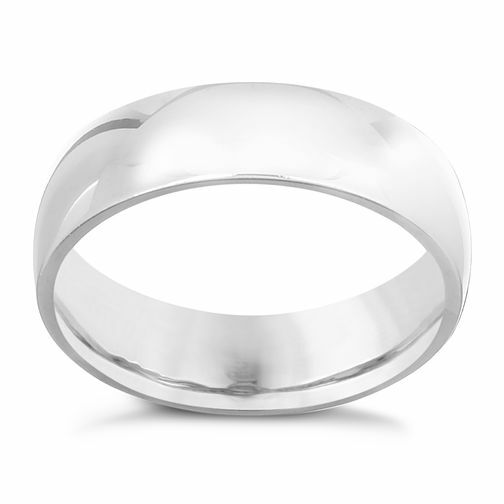 This simple yet elegant super heavy weight wedding ring has a width of 6mm and a court finish for extra comfort. Set in palladium, the 950 hallmark indicates its 95% purity. A naturally white, tarnish resistant and hypoallergenic metal.